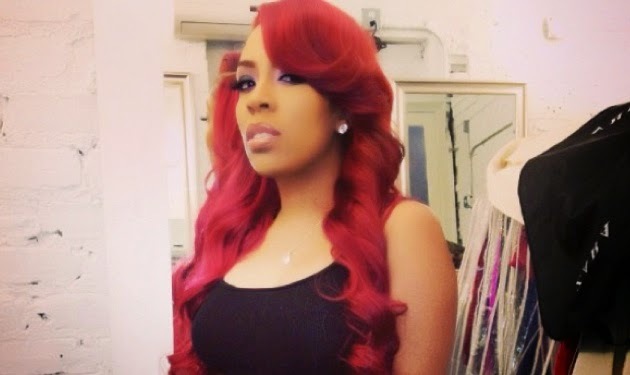 With her sophomore album "Anybody Wanna Buy A Heart" hitting the shelves today, K. Michelle was on promotion duty as she did her regular stop at Power 105.1's The Breakfast Club. During the interview the singer talks expanding her sound for the album and not wanting to be boxed in. You can find a mixture of country, r&b and opera tunes featured. A big inspiration behind her album was actor Idris Elba. Confirming the entire collection is about him, she said she sent him the records and he was pleased with the outcome. He and K. Michelle lowkey dated for a good 8 months until parting ways. She explain's the break up and blast his fans for always attacking her! Hit the clip below to watch in full! Did Chris Brown Send Karrueche Loads Of Flowers? Baby Blue's For Fabolous And Emily B? Beverly Johnson latest Bill Cosby Victim.